What makes a good computer for Speech Recognition? The recipe is fairly simple as long as you have a high quality motherboard and tier one parts within it to start off with. Try to follow this recipe with a mass marketed laptop (I.E. a name brand computer) and your results will be anywhere from less than good to just plain terrible. it cannot be overstated how much more performance you get from a high quality pre-tested computer. 2: Your primary drive must be a Solid State Drive. Since you cannot use more than 50% of the drives capacity without harming your drives performance. The rule of thumb is to make sure to buy double what you think you will need. A popular configuration is a 250GB size drive and an additional Solid State Drive or SATA or ideally an M.2 NVMe for your data. This separates your data from your system and allows you to use a smaller SSD than you would if you were trying to also save all your user data on the primary drive. The benefit to having two drives is well worth the cost and in many cases actually saves you money. If you have to buy a much larger SSD to make sure there is room enough for all your programs and all your data and still not go near the 50% mark, then a 2nd drive is often a cheaper way to go since the larger SSD's are still fairly expensive where a smaller SSD is fairly affordable. There are so many other positives to having a two drive system, you really should call and talk to a technical adviser to get the full scoop on your system configuration. By making your 2nd drive a SATA or NVMe drive you now open the way for an even faster computer, frankly the options are exciting and are worth asking about. 3: Sound card. We really like the Sound Baster XF-I but have seen the Sound Blaster Cinema 3 do an adequate job as long as you are not a Court Reporter or work in Closed Captioning. We really feel you should stick with only the best sound card available. As long as your using the M8600, hold off buying any microphone that also has a built in sound card. You wont need it and running two cards at once can cause conflicts. 3: The CPU. There is a reason the CPU is third on the list and not first. As vital as the CPU is, it still takes a backseat to the RAM and the drive options. However, should you choose the wrong CPU much of what we discussed has far less effectiveness. So lets talk about your microprocessor a bit (Pun intended). Two things matter to a program like Dragon. First and foremost is the L3 Cache. This is the buffer of memory that resides on the CPU itself. Think of it as a gas tank for the CPU The larger the L3 is the longer the CPU can work on your data before it has to stop and re-fuel. You have two options that work for DNS, 6MB and 8MB. Of course the 8MB is 25% more efficient and thus the best choice, if only it was that easy. You see the L3 is also very costly to upgrade. So many people find themselves just upgrading the second aspect (clock speed) of the CPU. For most programs your CPU speed is not important. Almost every CPU is faster than your programs need it to be. However, audio manipulation programs (Dragon is in that category) break down the data into very small byte sizes (yes another pun) and so it benefits from a CPU that can handle a lot of small pieces of data very quickly. So a cheaper upgrade option is just making sure you have the fastest CPU you can afford. That and make sure it is never EVER less than 6MB of L3 Cache and you have the basic recipe for a smooth functioning speech recognition platform. One small point to consider. If you re going to go with the slowest CPU that has 6MB of L3, then it would behoove you to make sure you have done everything else correctly By this we mean , make sure you have 32GB of RAM or more and a two fast SSD's and neither is close to half full. Try to cut corners and you will pay the price one way or another. Pay now with proper components and a good configuration on a redundantly tested high quality motherboard and you can be assured of not paying with the time and frustration that goes hand in hand with someone trying to manage their work load on a mass marketed laptop or desktop computer that is ill equipped to handle the job of speech recognition. Virtually every software made boast ridiculously low system requirements to run their software. This would leave one to believe their netbook or tablet or worse yet there Best Buy bargain of the week would be plenty powerful enough to run DNS. This is like saying that a horse and buggy is sufficient to drive to work and back. Sure, it will get you their but absurdly slow and painful to the backside. Same thing with these 'modest' system requirements. They may run the software without critical error but in no way, shape or form does it run the software in a manner that will please you. Why do software companies suggest super low end specifications? The answer is painfully obvious, sales. If Nuance or Microsoft or any other software company were to tell you what they want you to really have for a computer, many people would say, " I don't have a computer powerful enough to run DNS but Microsoft speech recognition says it only needs a few MB of RAM and drive space. So I guess I better go with the software that my computer is powerful enough to run." No software wants to lose potential customers because they would have to buy a new laptop for Dragon Naturallyspeaking. The truth of the matter is they wish they could tell you what they really want your computer to be, but wont until you have already purchased the software. Then when you complain that it isn't fast enough or smooth enough to be a professional replacement for your companies transcriptionist, at that point they will break the news to you. "Your software is running as advertised, we never said it would be fast enough for your personal needs though. You are too short of critical resources to go any faster. if you want faster, upgrade your laptop or buy a better computer." In fact, if you ask Nuance or the leading internet authority on Dragon naturallySpeaking, they will encourage you to buy, you guessed it, a M-Tech Laptop. The #1 and #2 top configurations for Dragon users. #1 32GB DDR4 RAM. Option #2, 16GB possible but way the cost to benefit ratio closely, call for help on this. #1 Samsung 960 NVMe M.2 25GB Drive D Drive Option #2 Samsung SATA SSD EVO M.2 250GB. Again, weigh the cost to benefit ratio, the NVMe is 4X faster and this drive will be carrying the lions share of any page files or virtual RAM needs. There are good reasons at time to go with three drives and or larger drives, to assume you need these now would be premature since we have no idea until we talk, what your specific uses and needs will be. Always feel free to talk with a technical adviser if you have even the lightest worry you may need more. The above suggestions assume you are building up on an M-Tech motherboard. We cannot make any promises if you attempt this on a price oriented mass marketed computer. Tested quality plays a huge role in allowing the CPU, RAM and SSD to play their role. Keep in mind, that in mass marketed brand computers, the CPU, RAM and SSD's are also likely made by a lower quality licensed manufacturer. The brand name of the drive and CPU is nothing more than who licensed the item to be made, not who made it. Some of the dozens of manufacturers licensed to build CPU's, Drives, etc.. do a top rate job and others... not so much. 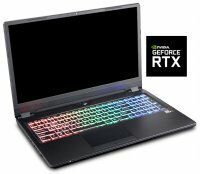 They manufacturer in favor if selling to brand names computer companies who need to lower their cost and raise their profit margins. If your only browsing the web, this may be fine for you, but if your a professional or otherwise serious user of Dragon, you cannot afford less than the best.